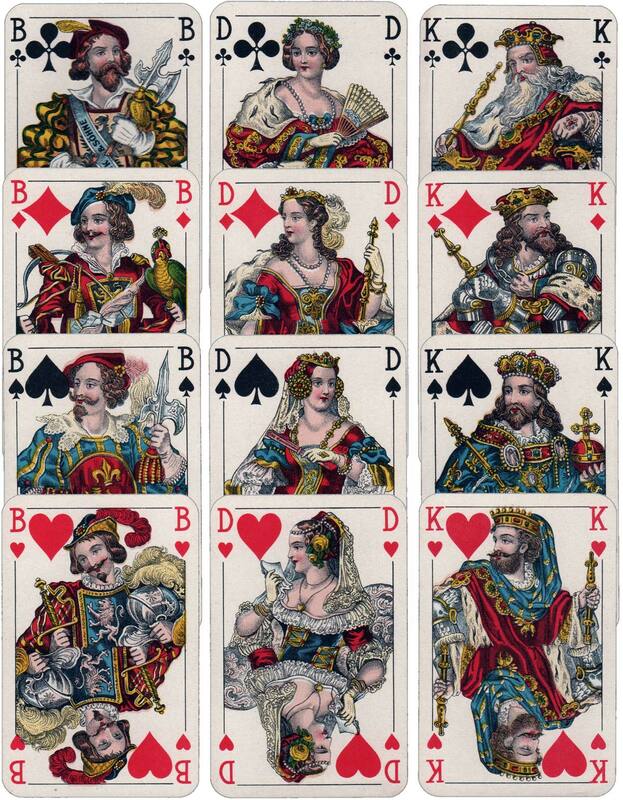 Non-standard French-suited cards flourished in Austria and Germany during the 19th and 20th centuries, in a variety of styles to appeal to a growing middle class. This example, with a rich historical style, appears to have been published by Ferd Piatnik & Söhne since the 1880s in several formats, appearing as No.97, No.297, No.397, No.211 and also Patience No.29, with a variety of back designs. 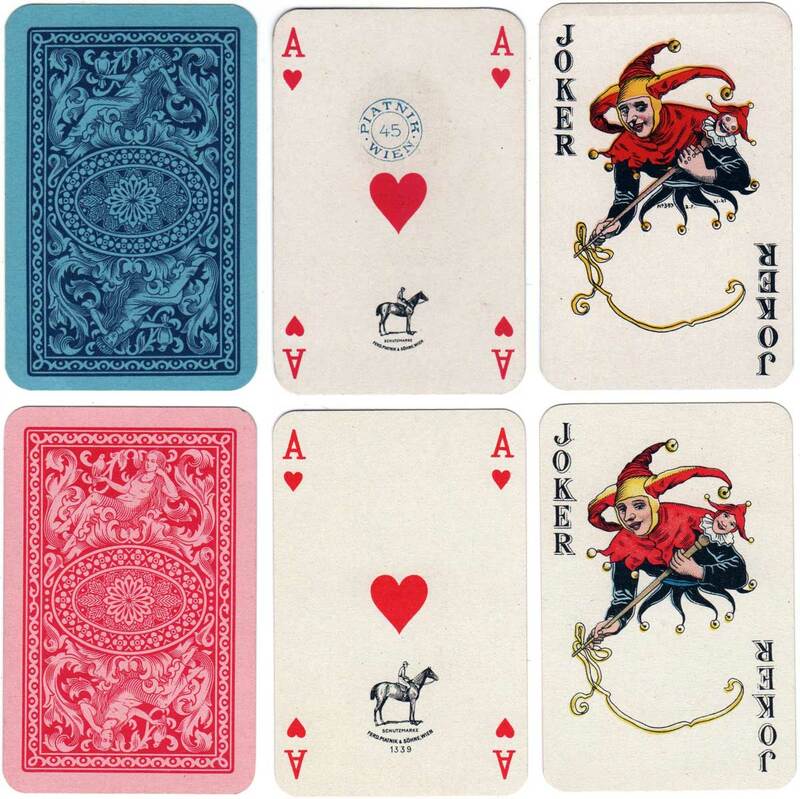 In some cases court cards were switched between the suits. Piatnik became a limited company in 1917, but the A.G. initials were dropped again in 1939. Above: non-standard French-suited cards published by Ferd Piatnik & Sõhne, Vienna, c.1941 & 1950. 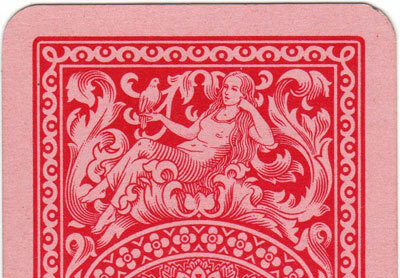 The stamp on the top ace of hearts is not a tax stamp, but a manufacturer's imprint which was used between 1939-c1946. Thanks to Matt Probert for images and research.